ACCA is the source of technical expertise in the indoor environment industry. Our technical manuals cover the complete gamut of design, installation and maintenance for residential and light commercial HVAC systems. ACCA technical manuals are taught by the leading industry schools and vocational programs. Many of our manuals are approved as ANSI standards, and many are referenced inside building codes nationwide. 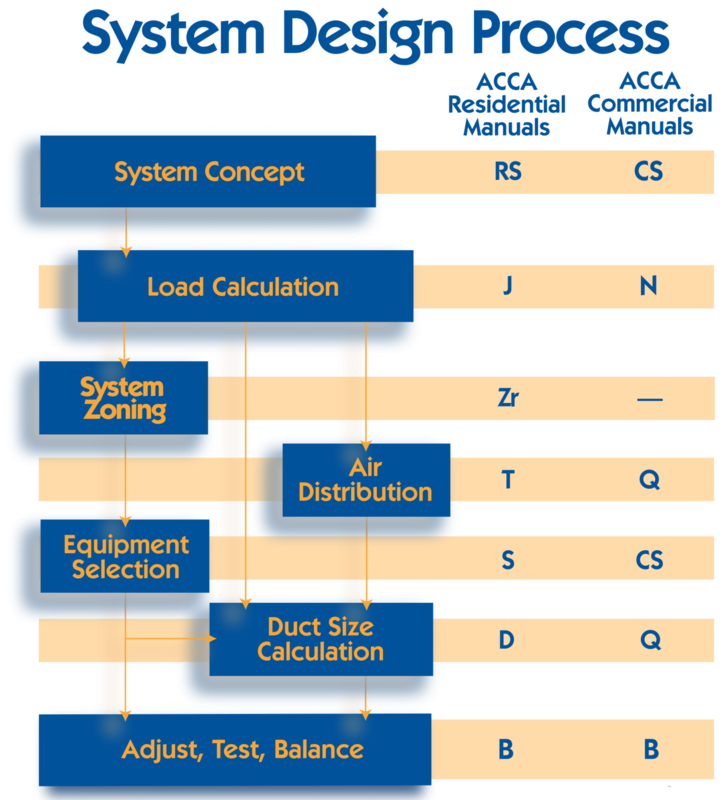 When using system design software, make sure it is approved by ACCA as compliant with our standards. ACCA provides free training spreadsheets, known as Speed-Sheets, for use with some of our technical manuals. ACCA also provides a number of educational opportunities related to our manuals, including an online certificate program in residential design and an online certificate program in light commercial design.